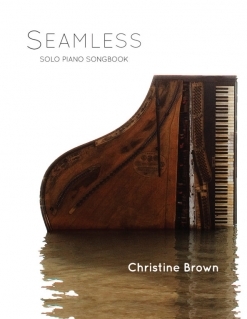 The Best of Christine Brown Solo Piano Songbook is a compilation of thirteen pieces from four of Christine Brown’s recordings, which are also solo piano. 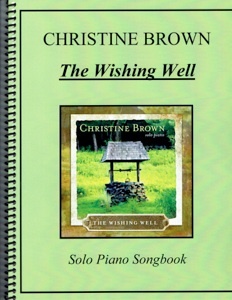 There are four pieces from The Wishing Well (2011), four from Promise (2009), three from Piano Stories (2006), and two from Winter Tapestry (1997). The book is spiral-bound and the scores are printed on a moderate-weight bright white paper stock that should hold up to many years of play. None of these pieces are what I would call difficult, but they aren’t for beginners, either. There is a very nice range of playing levels from upper-intermediate to early-advanced. Almost all of the music is on the slower side, but there is a very pleasant variety of moods and emotions expressed. I only found one reach of more than an octave, and most of the music is composed in relatively easy keys. The transcriptions are clear and roomy, and pedaling suggestions and some of the metronome settings are included. 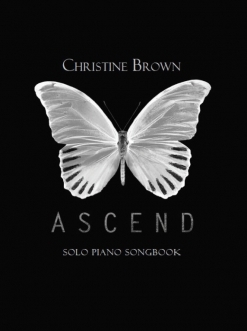 This is a very lovely collection for those wanting to get acquainted with Christine Brown’s music (a very happy discovery for sure!) 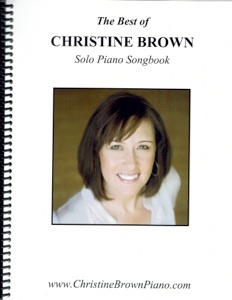 or for those looking for a “sampler.” It is available as a printed book or download from www.ChristineBrownPiano.com. Very highly recommended!